Principal Cast : Charlie Chaplin, Albert Austin. Synopsis: A drunkard returns home with some struggle and effort, trying to head to bed. The fourth two-reeler in entertainment legend Charlie Chaplin’s contract under the Mutual banner, 1916’s One A.M. is a rarity in that it’s one of the few short films he made in which Edna Purviance, Chaplin’s wife, doesn’t appear. 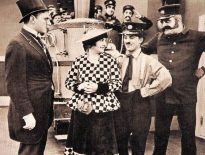 A briskly paced slapstick comedy, One A.M. features Chaplin almost entirely solo, aside from a brief cameo by Albert Austin during the film’s opening moments, playing a wealthy drunk returning home and unable to adequately make his way to bed. For a film with a title indicating the time of night the story occurs, the film seems to take place in broad daylight, with full interior lighting, making the nomenclature a touch misleading. What isn’t misleading, however, is Chaplin’s prowess with his famous Tramp character and his ability to carve laughs from almost any situation. 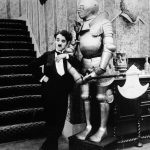 Chaplin’s drunken character is a staggering, oblivious cliche of the first order, played to the hilt with Chaplin’s brand of self-aware comedy, and with only minor caveats hasn’t aged a day since it debuted in 1916. For a film to hold its own after a century of existence, it must be doing something right. 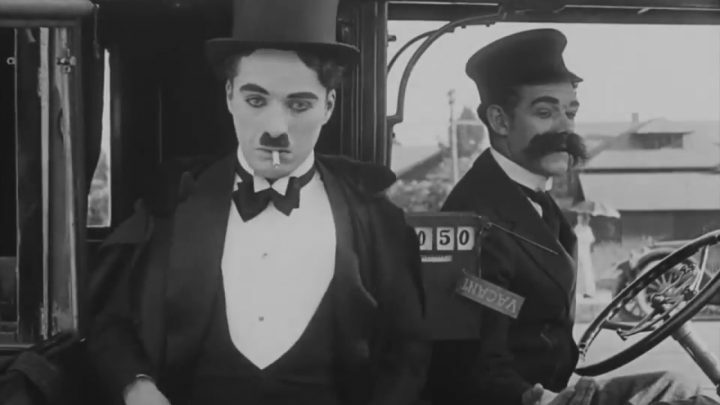 Chaplin’s direction of One A.M. isn’t especially creative from a technical standpoint, but the film is a riotous laugh due to the actor’s performance in front of the camera. It must be said, the old hokey double-takes, pratfalls and physical comedic malarkey feels comfortably familiar by today’s standards, like a warm blanket or worn-in shoes, and even though you might be able to spot some gag or stunt coming early, the pure joy in engaging with the film remains strong. Arriving home by taxi (and struggling to evacuate the cabin) driven by Albert Austin’s mustachioed driver, the gent (Chaplin) makes his way inside through a window to fetch the door key, before encountering – in no particular order – stuffed floor animals, slippery rugs, a table that refuses to remain still, and alcoholic beverages that, remarkably, remain intact throughout the entirety. A duo of stairs inside the gent’s home also provide monumental difficulty in ascending, thanks largely to an insane level of drunkeness, while once in his bedroom the obviously possessed Murphy bed continues to elicit laughs as the man struggles to climb into it. One of the chief elements to One A.M. that worked beautifully was Chaplin’s continued breaking of the Fourth Wall, acknowledging that his character is an utter imbecile and that the situations he finds himself in are ludicrous and utterly fantastic. This sense of meta-awareness draws many chuckles through sly glances at the audience, as if willing them (us) to spot what’s coming next. Frantic pacing by Chaplin, particularly as he begins to sprint atop a rapidly spinning table, is astonishing, a level of physical bravery many stars of today would baulk at. 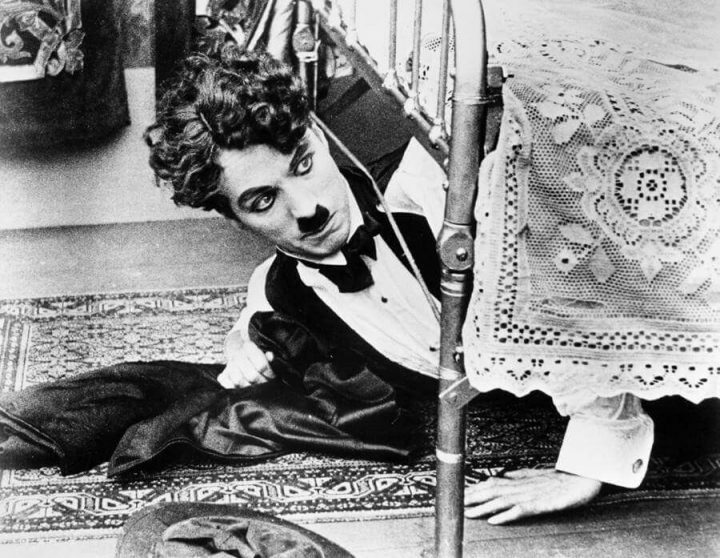 Chaplin falls down stairs, allows himself to be smacked in the mouth by a clock pendulum, and allows a fold-out bed to get the better of him, all superbly timed and maximising comedic potential as he sojourns towards a fairly wet finale inside his home’s shower, and with few co-stars to draw attention away, gives One A.M. a sense of solo genius as the little man works his magic. 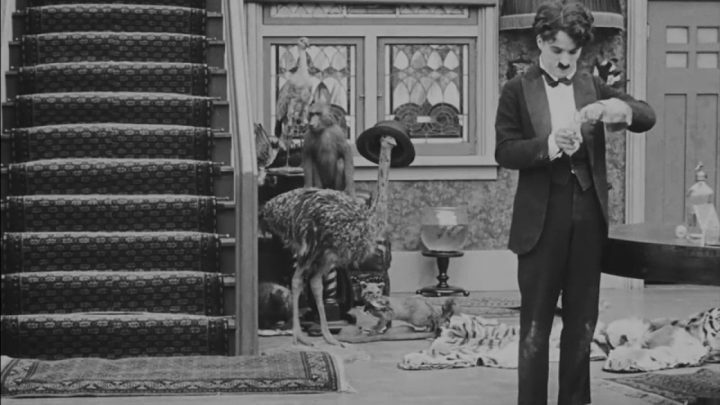 One A.M. is an amusing, occasionally uproarious silent short from Charlie Chaplin that works moreso for the actor’s prowess at physical comedy than it does any technical expertise. Edward Brewer was credited later as a “technical director” but the artistry and inventiveness in front of the lens is all Charlie, and it’s magnificent to watch. 100-and-something years have not dented the effects of this film’s gags. It’s a work of art.